Tonight is our fifth and last night on Ometepe, a volcanic island in Lake Nicaragua. 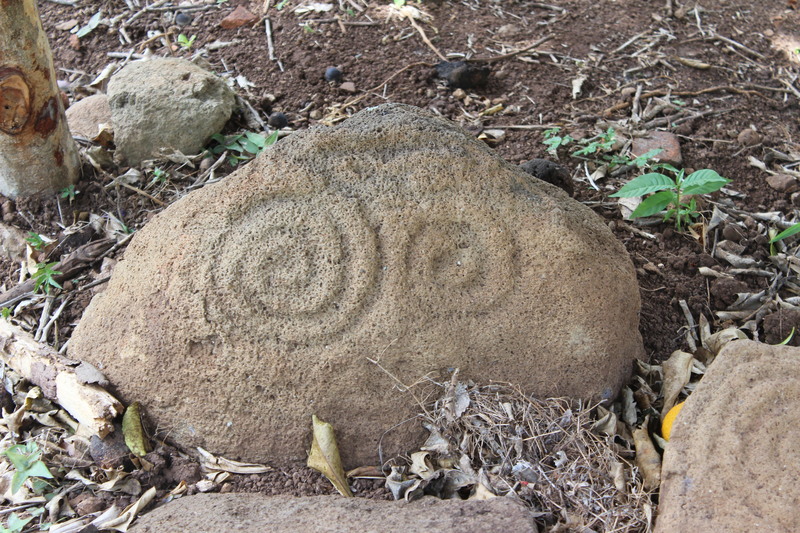 Twin spirals are a common petroglyph motif on Omotepe. What could we possibly find to do for six days on a dinky double island in a lake? Well, first we had to get here. And then we had to get to our lodgings, in our case a working finca (family farm) with a comfortable guest house attached, right next to the water. At the lodge we enjoyed the beach, swam in the lake, ate good food, and watched people who were working a lot harder than we were but still seemed to be having a pretty good time. 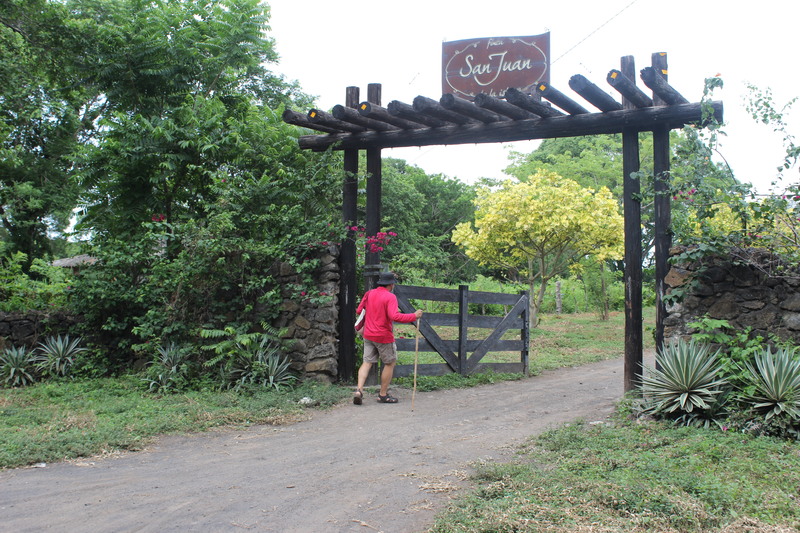 The lodge was great, but there is much more to see on Ometepe. We took a long walk along the lakeshore. 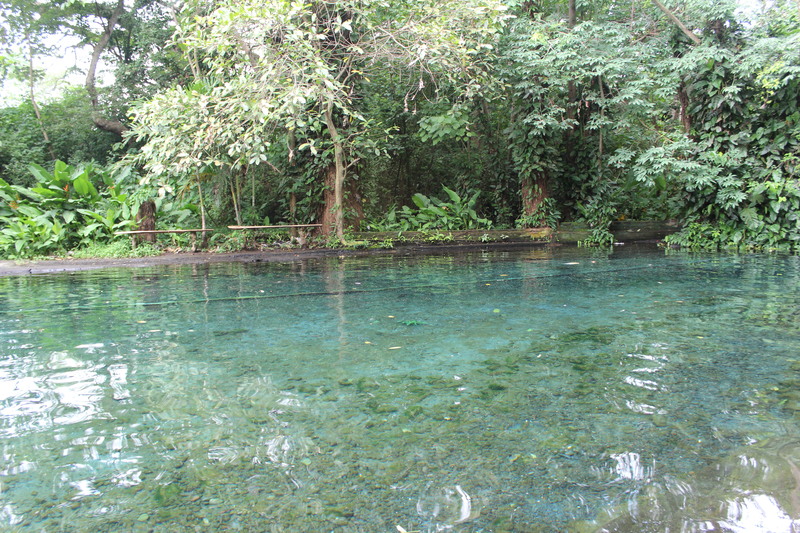 Inland, we swam in a clear pool fed by a natural volcanic hot spring. 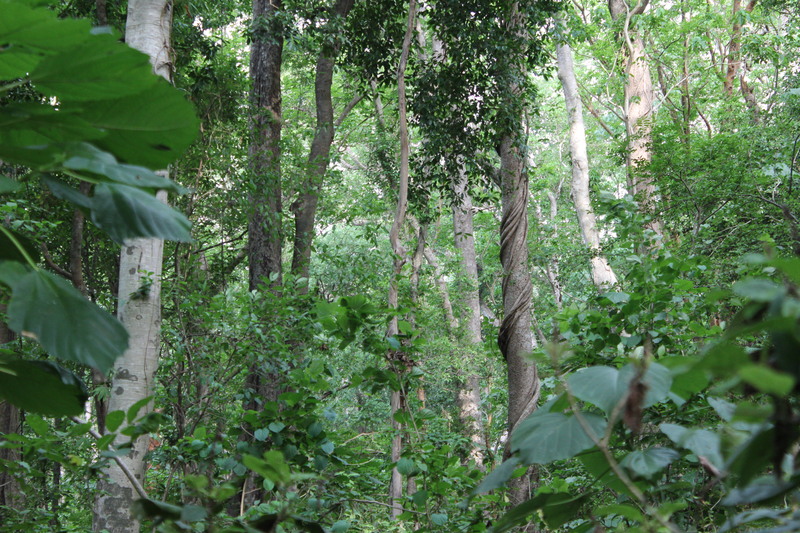 We hiked a trail through the rainforest. We took a bus up to a coffee plantation where we toured the grounds and looked for ancient petroglyphs. We hiked to another finca with beautiful grounds, more petroglyphs, and lots of butterflies. We went to a museum to see stuff left behind by a long series of indigenous cultures. And the rest of the time we just wandered around, soaking up the slow-paced friendly atmosphere. This entry was posted in Elsewhere, Islands and tagged Nicaragua, Ometepe, volcano. Bookmark the permalink.